Seresto Tick and flea collar protects your dog against ticks, fleas and lice for 8 months! Seresto is a completely new way to protect your pet from those nasty parasites that can infest your dog and pass on diseases. 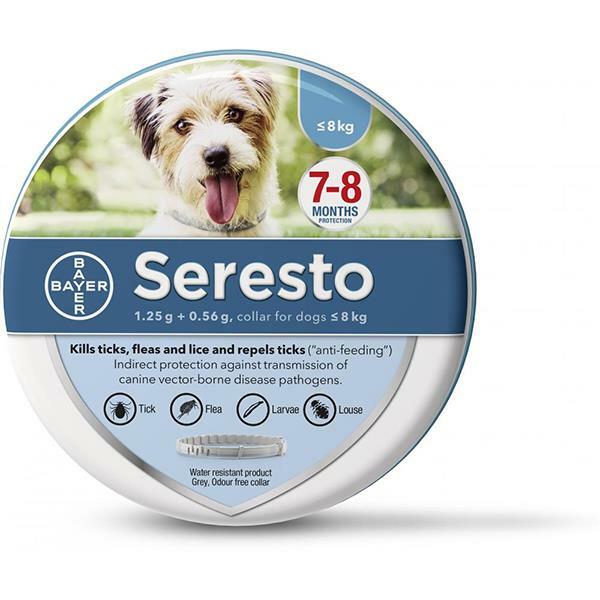 Seresto is a revolutionary Flea AND Tick prevention collar that saves you having to remember monthly applications like other treatments. Why is it revolutionary? Because Seresto works by releasing a sustained, active, low dose of protection that will be effective for 7-8months. 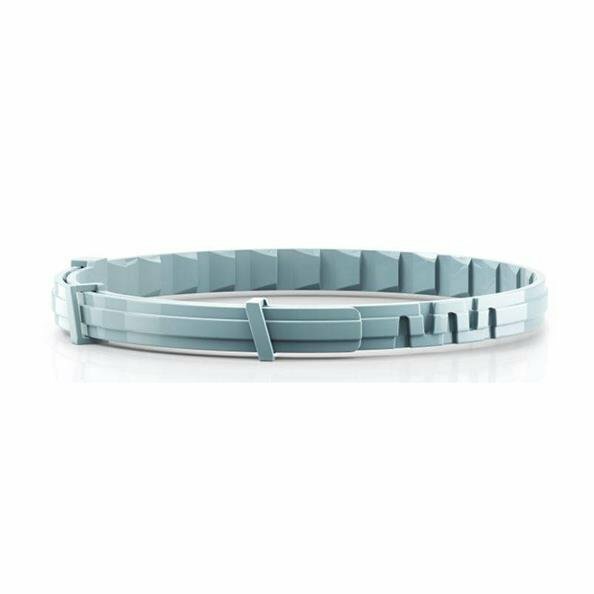 A collar is an easy to use method of flea and tick protection. It is odour free, water resistant and non greasy to handle. This product will fit the dogs up to 18 lbs (8 kg). My adult Chi weighs 5pd 14 oz. Is the sm Seresto collar ok for her ? 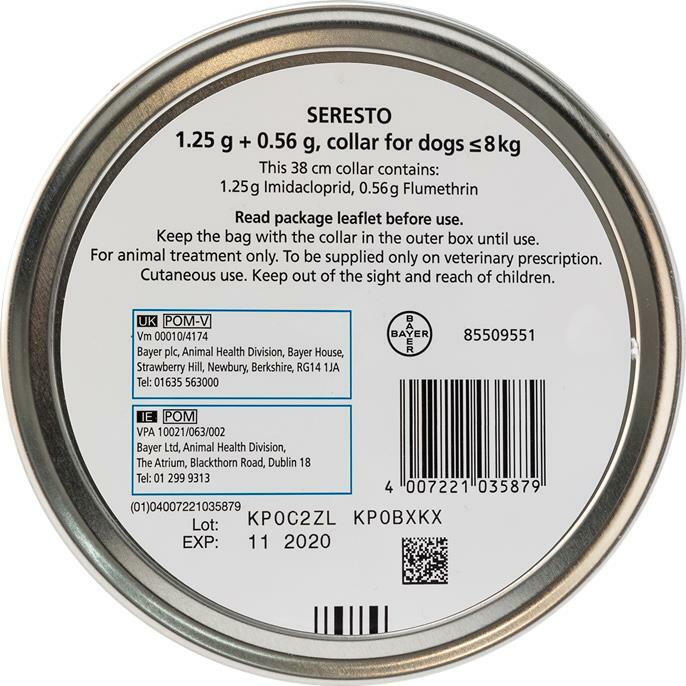 Yes you should use Seresto small size on your dog. What's the length of the collar? It is 15 inch long. My 4 month old beagle pup is about 18 pounds at this time and I am probably going to get the large collar. My question is, do we cut off the excess collar? I worry that if the excess is kept on, then the medicine may be too much for him. do you sell the one that's for cats and small dogs? There are only 3 type Seresto collars:, For large dogs, for small dogs, and for cats. We sell all 3 type of Seresto. Very pleased. It was recommended by a fellow dog rescuer. All itching and signs of fleas disappeared within a day! I have been using Seresto for over a year. I would recommend to family and friends. We love this product as it is fast acting and since we live in Florida, our two dogs are exposed to all types of little critters. Although the product states it last for 7-8 months, we get them every six months as by then the protection is staring to fade and we don’t want to take chances. Works 8+ months. My dogs have never had a flea because of this collar and it works. No odor and adjustable lengths.